Richella shared a link to another great flower arrangement for teachers, this DIY pencil vase, that she shared on her blog last year. I think this is the perfect idea for teachers of older grades. You can check out the cute alphabet magnet version for younger grades HERE. 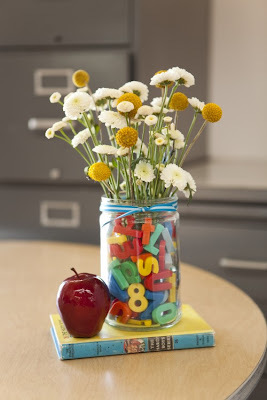 And you can check out her tutorial on how to make one for your teacher over on Imparting Grace.